Learning to relax with anxiety disorder can feel uncomfortable at first, but it’s worth the reward. Here are the steps you need to take if you want to develop the ability to actually relax despite the anxiety. It’s one of the common complaints that people with anxiety disorder have: it’s this constant tension, this constant stress, this constant feeling of almost static throughout the body and you feel like you can’t truly relax. I know how annoying it is because I used to get it myself when my anxiety was at its very worst. Number one tip to learn how to relax with anxiety disorder, you need to stop pushing the anxiety away. It’s just plain and simple acceptance of where you are now and what you’re going through and the fact that anxiety is part of your life right now and that’s just how it is for the time being. And by truly coming into acceptance, some kind of magic opens up. I don’t really know how to explain it, it’s sort of by dropping the resistance and as we know, resistance fuels anxiety and by truly stepping into acceptance of who you are and what you’re dealing with, suddenly, that food for the anxiety drops away. Where there’s no tension, there can be no anxiety. Acceptance helps you to relax with anxiety disorder, because acceptance cuts the anxiety off its food source and it’s something that you need to consciously do because it won’t come naturally to you. If you’re finding it difficult to relax, then relaxing is something that you’re going to have to consciously try to do. So, by accepting and by dropping every muscle in your body by dropping all resistance and by just allowing the anxiety to be there, you’re doing the first step which is fantastic. “Now, what does white light do?” I hear you ask. White light is pure healing energy and there are all sorts of miracles that happen within the bubble of white light. You will often hear me talk about if you have problems or worries, you put them in a bubble of white light and send them off to the universe. Also, white light is very protecting. So, if you find that you’re in a situation that you’re not quite comfortable in, quickly put yourself inside a bubble of white light and you will feel yourself relax with anxiety disorder. I’ve done this on a train myself where I was being hassled out by a guy and I put myself in a bubble of white light and it was almost like he couldn’t see me anymore, it was truly amazing. So, what protection and what white light will do is actually seep into your body and into your energy field, getting into those cells and really create the space that’s necessary for healing to occur. To relax with anxiety disorder, visualize white light as being relaxing energy, and put yourself inside the bubble. Then well and truly fill it out with this relaxing white light energy and see it seeping into your body – then – you will feel physically that relaxation that will come upon you as white light really settles down. You’re not going to feel completely relaxed and completely unwound right away. 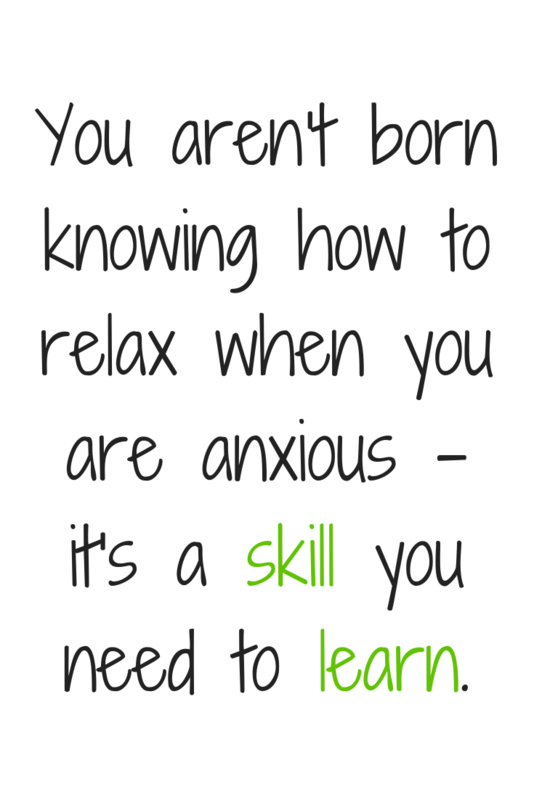 This is a process and learning how to relax with anxiety disorder is a skill that you need to learn. It’s very learnable, many people learn it and it’s actually key to learning if you want to overcome anxiety in your life, the ability to relax is so important. The good news is if you consciously learn how to relax in the way that I’ve shown you, then you’re a good two-thirds of the way towards healing anxiety in your life. The final third is just letting time do its work. Time is the great unsung healer. Time really allows you to put your new skills into play and really allows things to culminate, the groundswell of energy to build up, and for a real picture of energy healing and anxiety healing to build. So, time is so necessary and so important. You follow those three steps, you’ll find that you do become more relaxed and content and happy and peaceful in the present. It is definitely possible to relax with anxiety disorder and it’s a key step in overcoming anxiety in your life. I have a free energy protection meditation that will guide you through how to put white light around yourself and seal yourself inside a bubble of white light. It’s such a wonderful thing to be able to do and so protecting and so healing and so nurturing and so nourishing.